Remember when a Banksy painting shredded itself at an auction earlier this month? Well it turns out not everything went according to plan. 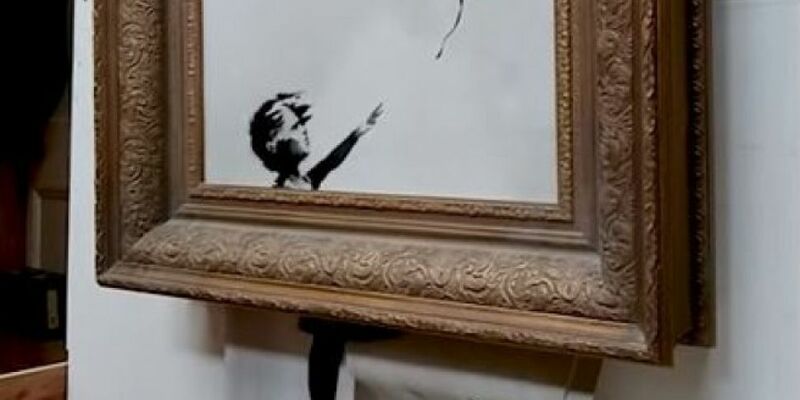 Banksy's "Girl with balloon" went under the hammer at Sotheby's auction earlier this month. However, those in attendance were left stunned when the painting began cutting itself up. About two-thirds of the piece were destroyed, but in a new video Banksy says the whole piece should have been cut up.